Time to do some clean up before the big movie comes out. DC Comics has opposed a Colorado-based company’s attempt to register its SHAZAM HOME SERVICES trademark in association with its handyman business claiming the name is too confusing to that of the lead character of its new blockbuster movie. Shazam is the next entry in the DC Extended Universe of movies and tells the story of a boy who becomes a superhero. Its like the movies Big and Superman where mashed up into one. In anticipation of the April 5, 2019, release date, DC Comics is doing some spring cleaning regarding the trademark. Shazam Cleaning Services provides handyman services for the residents of Oakwood Homes in Colorado. Very specific market they are servicing there but it will begin to make more sense in a minute. 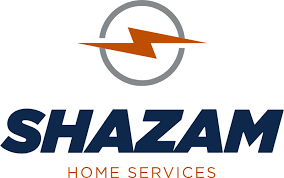 In August 2018, the company behind the name, Clayton Properties Group II, Inc. which also owns Oakwood Homes by the way (so they will sell you a house and then you have to pay for them to fix it, nice gig) filed a trademark registration application for SHAZAM CLEANING SERVICES. Originally appearing in 1940 as Captain Marvel (no, not that one, DC Comics walked away from the name and went with Shazam after trademark issues, Shazam is the alter ego of Billy Batson, a boy who, by saying the magic word “SHAZAM” (acronym of six “immortal elders”: Solomon, Hercules, Atlas, Zeus, Achilles, and Mercury), transforms himself into a costumed adult with the powers of superhuman strength, speed, flight and other abilities. Essentially he is a kid with the powers of Superman. In 1972, the character was reintroduced as Shazam on a full-time basis and DC Comics has used the trademark ever since. Last week, DC Comics filed its opposition to the mark claiming that the name is confusingly similar with DC’s SHAZAM trademark. The applicant was asked to disclaim both the words “cleaning” and “services” and therefore are only relying on the word “shazam” to identify its services. DC argues that this is more justification to deny the mark. 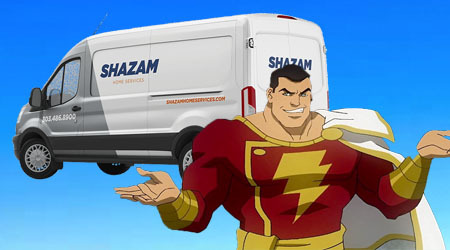 DC’s argument is that if you hear the word “shazam” used with the handyman services, you may mistakenly believe that the company is endorsed by DC when it is not. The handyman by day, superhero by night is in for a fight here and we shall see if they are going to battle or walk away from the mark.